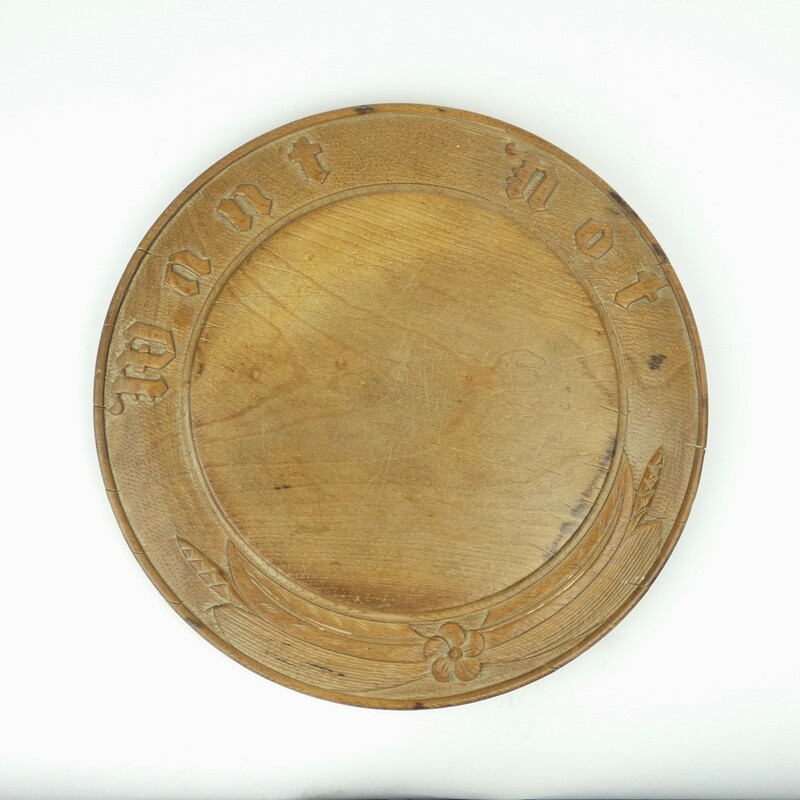 A very attractive, Victorian carved breadboard with a dark patina. This piece is carved in beechwood but the wood has a very rich, dark patina. The border is well carved, with 'Want not' in an ornate script, a small flower and ears of wheat. The carving is nicely detailed and it is all against a stipple background. 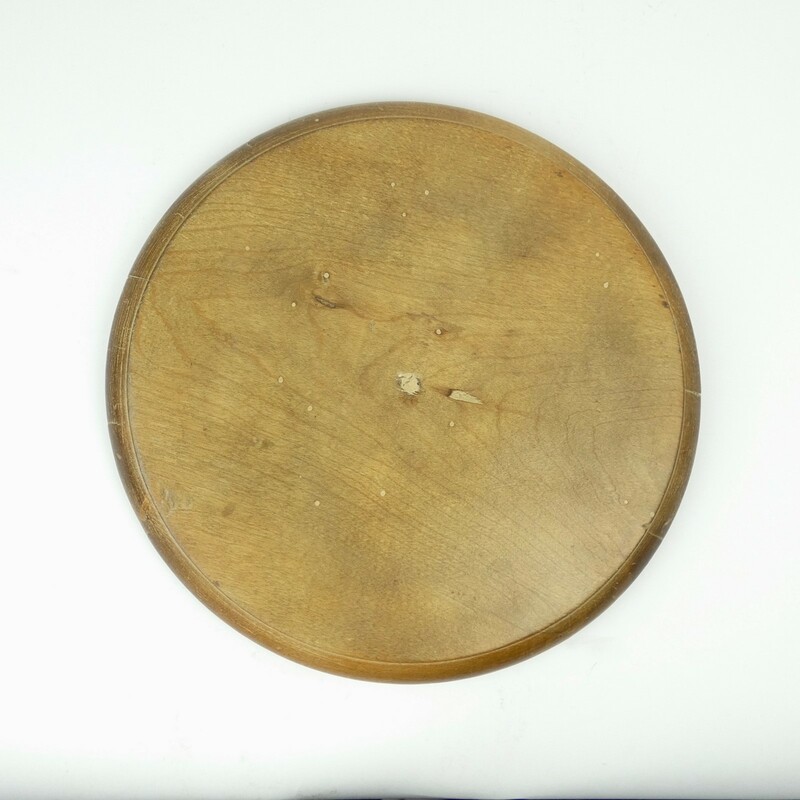 There are two small burn marks to the front of the board and there are also a number of very short cracks to the rim where the wood has dried out over the years. It dates from c.1860. There were a number of woodworm holes, but these have now been treated and filled, and there are the usual scratches to the face of the board, from use.